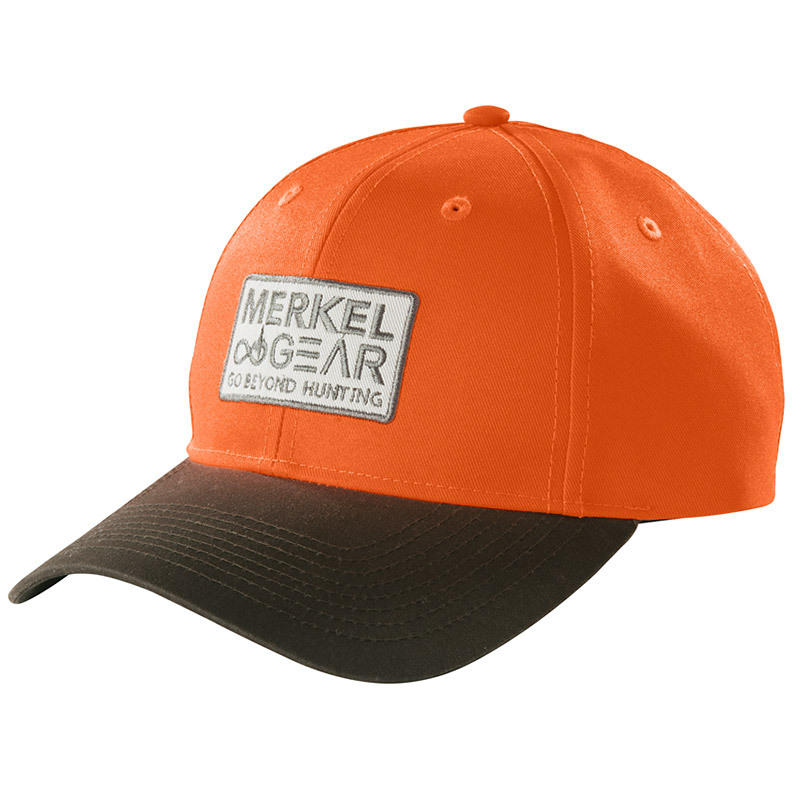 A classic peaked cap for the entire hunting year. 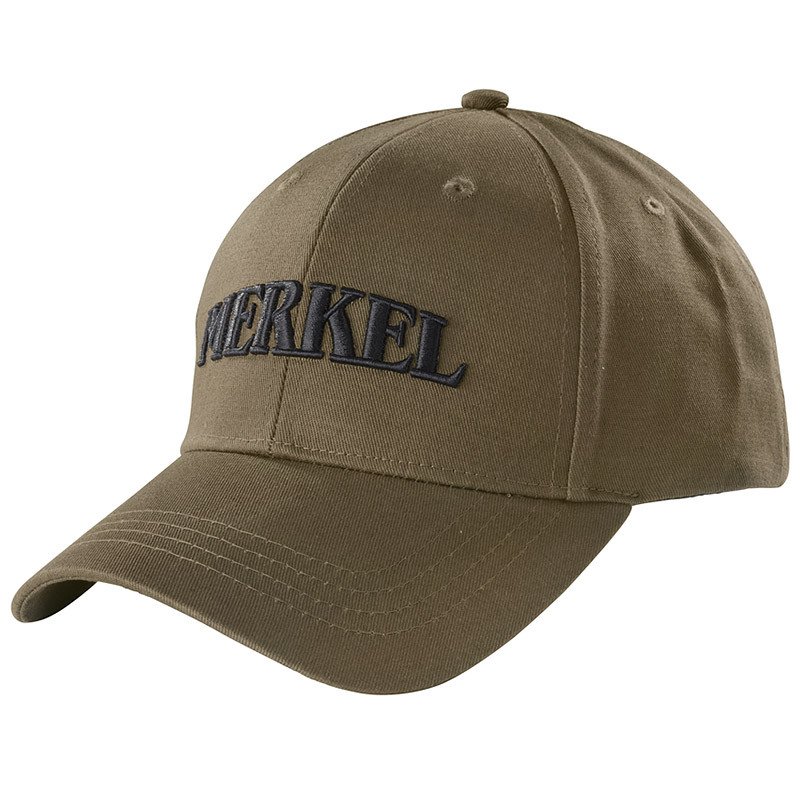 Prominently on the front, the classic Merkel logo in high-quality 3-D-embroidery, then elastic ammunition loops at the side, and the back left panel discreetly displays the Merkel GEAR loop. For this cap, we also chose an adjustable strap made from the same outer fabric as the cap, so it can be noiselessly closed with an old brass buckle. The breathable inside headband offers high wearing comfort, dries quickly and moves moisture away from the body.